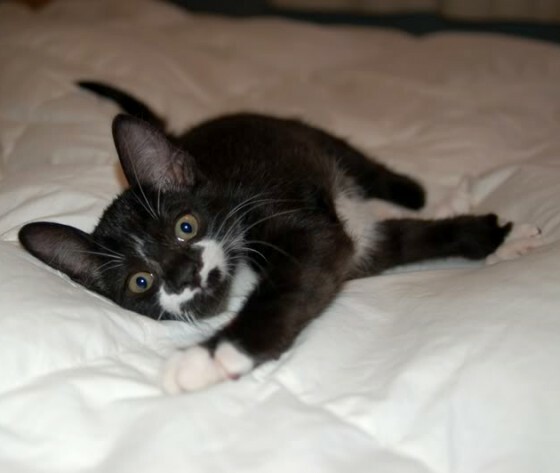 Rufio is a little tuxedo rescue with a bat-stache on his face. The little guy came from a feral cat mama that didn’t survive the dangerous outdoors. Luckily he and his siblings were given a second chance. “His feral mom disappeared when he was only about five weeks old, leaving him and his litter mates beneath a porch high in the Colorado Rockies,” said Kaelizilla who adopted Rufio from a woman that saved the kitties. 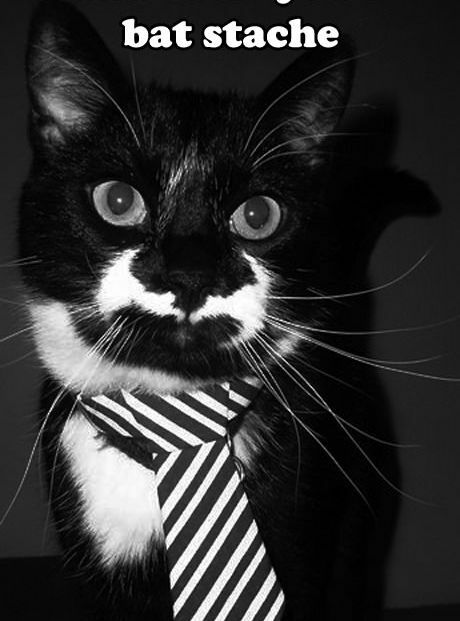 0 responses to "Rufio the Rescue Kitty with Bat-Stache"